The Primary Treehouse: First Day Fun! - Linky! I know that some of you have already begun your first day of school, but I still have 3 weeks to go! Even though I am still on summer vacation, I have already started thinking about that first day of school. I want to know....what are your FAVORITE first day of school activities? (Or just your favorite back to school activities?) To celebrate the return to school I am hosting a giveaway and a linky party! Be sure to enter and to to link up! Here are some of my favorite activities! I wasn't sure how this was going to work, but let me tell you, my room was so QUIET!! All of the kids were so focused on mixing their play dough that they didn't once think about their parents leaving or their new school supplies or any of those other things that make the first day of school so crazy! I didn't have a single kid cry last year! I don't think that has ever happened! It was so nice and it gave me a chance to talk to parents, get kids settled, and gather supplies. This is a MUST-DO for this year. The other activity I did last year, that I will be repeating again was Chrysanthemum. I always do some sort of Chrysanthemum activity but last year we did the activity with the crumpled heart. We started out with a nice clean paper heart. As we read the story, we would crumple the heart every time someone would hurt Chrysanthemum's feelings and we would try to straighten it back out each time that someone would try to make her feel better. 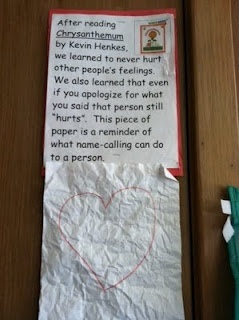 It was the perfect visual for students to understand how much words can hurt someone's feelings. Then, we sent home a mini homework assignment to go with the story. Each student (with their parent's help) wrote about where their name came from and why it is special.We shared them the next day and hung them up with our crumpled heart! One more: This one I have not tried yet, but I want to try this year. It is the self-control bubbles. Have you seen them? (Yes, I think I got all of these from Pinterest! 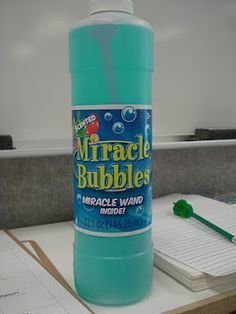 lol) Basically, we practice self control by me blowing bubbles at the students and they have to sit still and NOT pop the bubbles! Now, write up a post about your favorite First Day/Week of School activity and link it up! I can't wait for some new ideas! I also did the Chrysanthemum crumpled heart activity last year. I let them put bandaids with their names on it to try to fix it also. We hung it up all year to remind us! I like the band-aid idea! How cute. I may have to add that one this year! I had a envelope on their desk with a label explaining they will find a special message from me inside but they have to put the puzzle together first. I took scrapbook paper wrote a message (Welcome to First grade!etc.) and used the die cut puzzle to cut it. They love it. It is also a quick assessment for me. 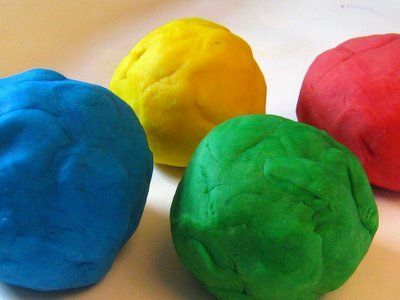 what play dough recipe do you use?